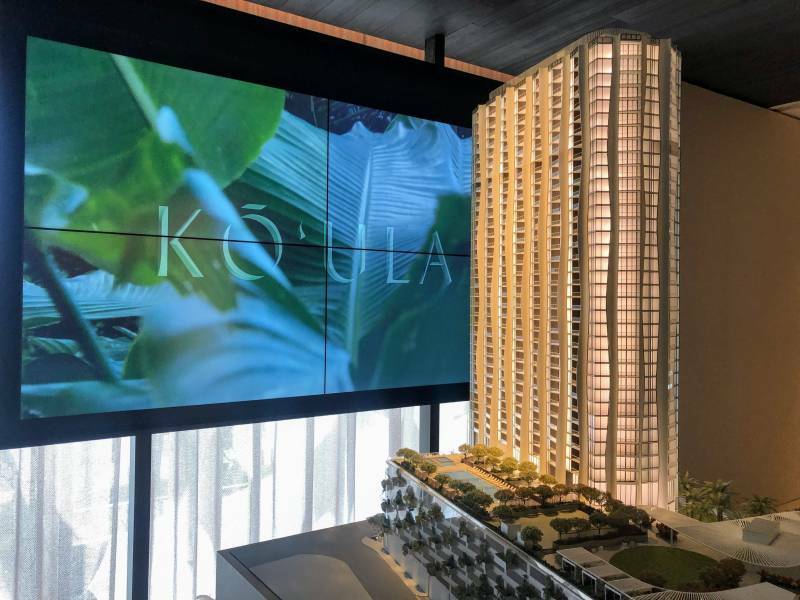 Beautifully designed Ko’ula condos are the latest addition to Ward Village in Honolulu. Ko’ula, which means red sugarcane, was the architect Jeanne Gang’s inspiration for the building. A sculpture rising from the garden, this building is not only beautiful on the inside, but on the outside as well. The design offers private lanais with every residence and maximized interior living space throughout. Ko’ula is located in a world-class thriving neighborhood of Kakaako, that’s filled with street-level restaurants, shopping, parks, and breathtaking ocean views. It is also located steps away from Kewalo Harbor, Ala Moana Beach Park, and a short distance from Ala Moana Shopping Center. Location, location, location! The tower’s positioning maximizes ocean and mountain views. Ko’ula is located in Ward Village, two blocks from Kewalo Harbor, next to 1.5 acre Victoria Ward Park, and next to Ward Cinemas. The central location is perfect for residents who enjoy living close to the beach and amenities. Architectural elements and carefully selected materials seamlessly blend the indoors with the outdoors. Ko’ula condos are filled with natural elements that create a serene, relaxing environment. Authentic, humble, simple, and understated sophistication that softens the interiors and blends in earthy tones throughout the building. 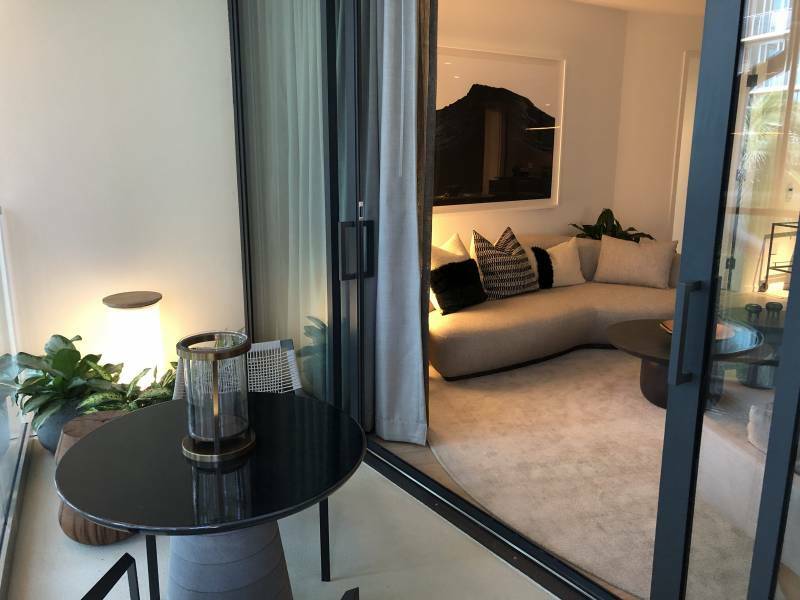 Unlike other properties in the Ward Village master plan that favor white or light colors, Ko’ula condos have warmer matt finishes that blend with the natural surroundings, and textures that mimic those found in nature. Ko’ula really is a sculpture rising from the garden. It’s so in tune with nature. Ko’ula offers Studios, one, two, and three bedroom residences. Typically the largest units have oceanfront locations in most buildings, however not in the Ko’ula. three-bedrooms 00 Stack does face the ocean and towards Diamond Head, however, large one-bedrooms occupy the 01 stack that also faces the ocean. Oahu condo buyers have many different needs. Many people who are downsizing or purchasing vacation homes and don’t need large residences. Ko’ula offers the best location for smaller units. It’s a nice opportunity for residents who want the best view, but don’t have the need for a large condo. 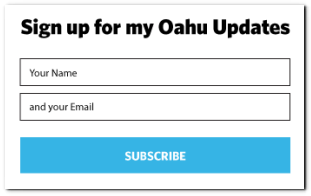 If you have questions about available Ko’ula condos for sale, please don’t hesitate to contact me. All tower units feature spacious lanais. Most two and three bedroom condos offer two lanais. 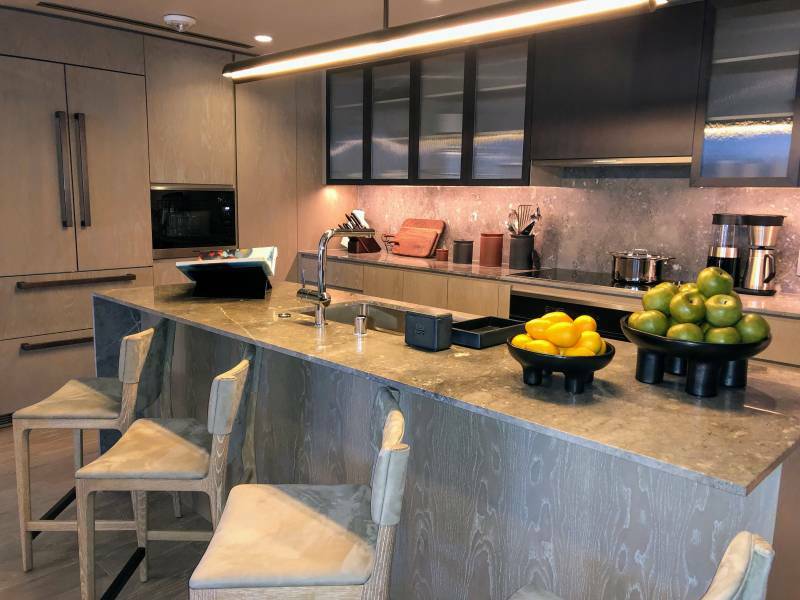 Light scheme kitchen at the Ko’ula condos showroom. Residents entering Ko’ula arrive at a large dedicated driveway to an open-air second-floor lobby overlooking Victoria Ward Park. A dramatic first-floor driveway is unique to Ko’ula and allows for a quick and convenient pick-up/drop-off area. 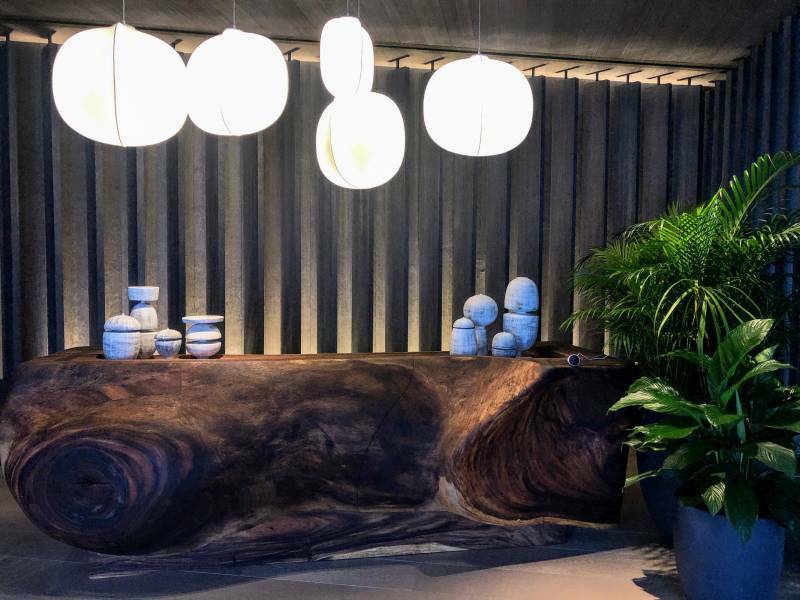 Wood elements and a blend of natural elements and textures encompasses every area of this beautiful property. 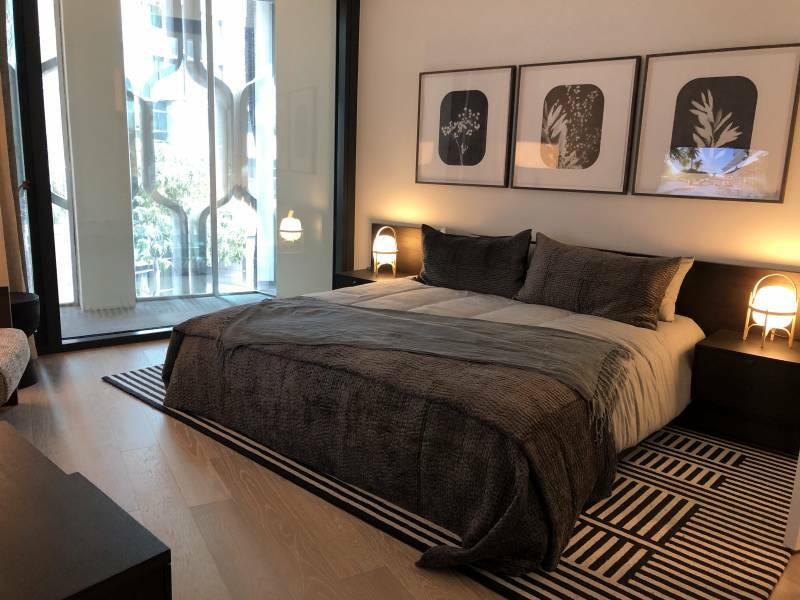 24-hour security, an on-site manager, LEED Silver Certification, Secure Access Elevators & Parking, all add to the enjoyment and security of the residents. Ko’ula offers over an acre of outdoor amenity space, including a 25-yard lap pool, two spas, relaxing cabanas, BBQ pavilions, children’s play areas, dog park, and outdoor spaces surrounded by an assortment of tropical plants. 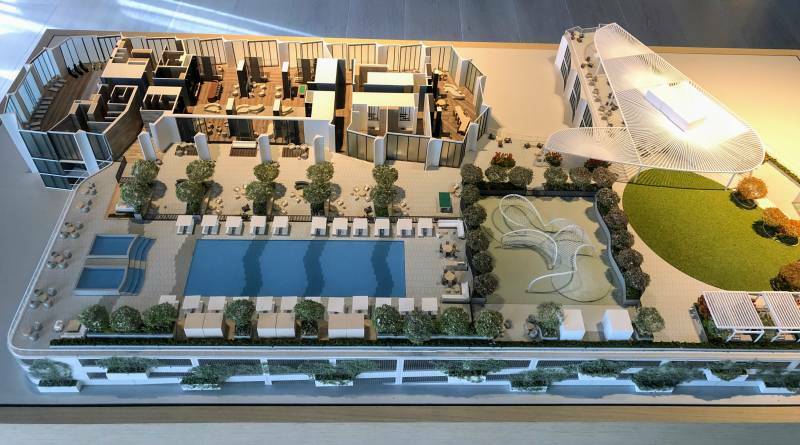 Indoor amenities include a fitness center with a treatment room, lockers and saunas, chef’s and catering kitchens, grand dining room, private dining room, and a Sunset Bar overlooking the Victoria Park. 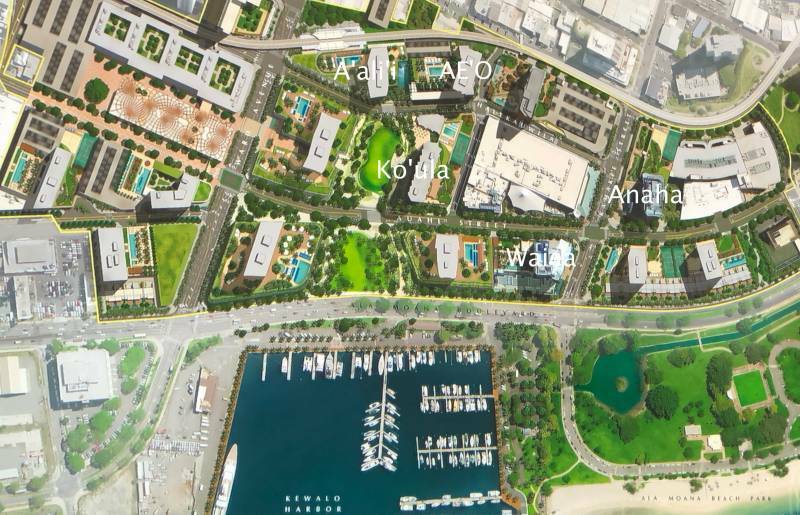 Ko’oula condos are a welcome addition to the Ward Village master plan in Kakaako. The community is gowning and already thriving. Having such a spectacular property in the Honolulu condo market is very exciting. Although this property is not yet completed, sales have been strong and Oahu buyers are excited to see this beautiful sculpture enter the Oahu real estate market.